Take Our "Find Your Place in the Empire" Quiz! 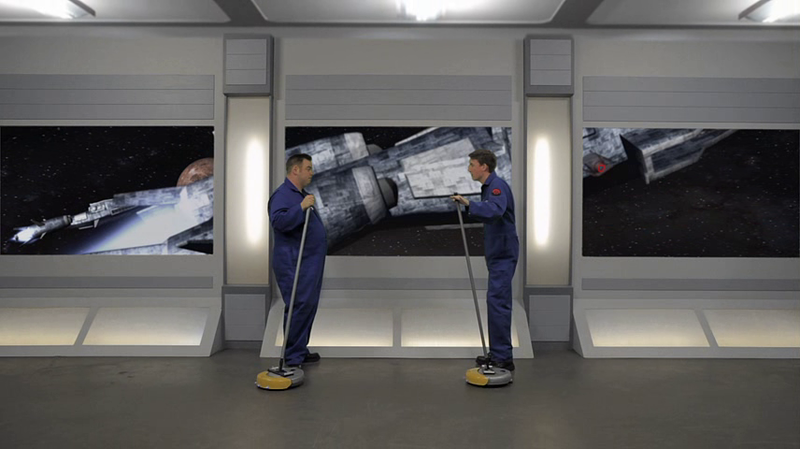 Find out which job suits you in this Space Janitors-inspired quiz! Space Janitors is The Escapist's newest live-action series chronicling the lives of two janitors, Mike and Darby, as they serve aboard a rather iconic-looking evil space station, taking out the trash, buffing out blaster burn marks and dealing with all those severed hands that keep popping up. We're so excited about our newest show that we just had to put together a personality quiz over which job in the Empire best suits you! Are you a tough and fearless like a Squall Trooper? Cold and calculating like an Android? Or maybe you have larger career aspirations... find out in this week's quiz!